I get a lot of inspiration from Warhammer. 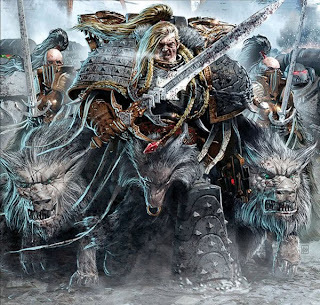 Of course it's complete bollocs, all those sci-fi monsters and weird creatures.. but I like it. 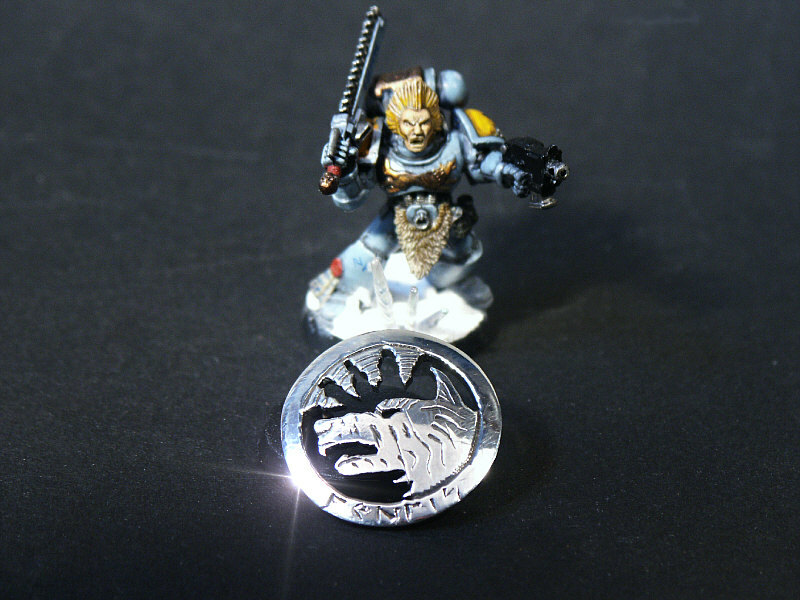 I planned to rebuild my army into a "Space Wolves" army - they are a kind of Space Vikings, dressed in oversized armour. 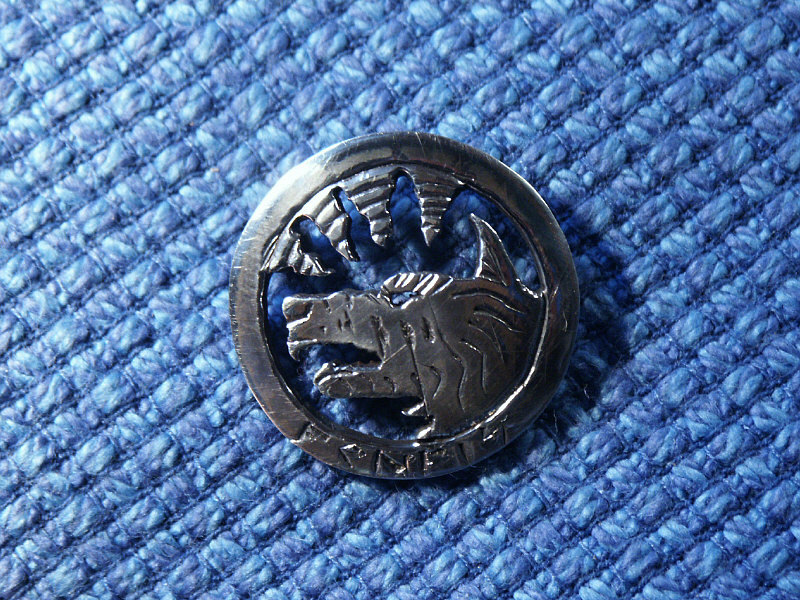 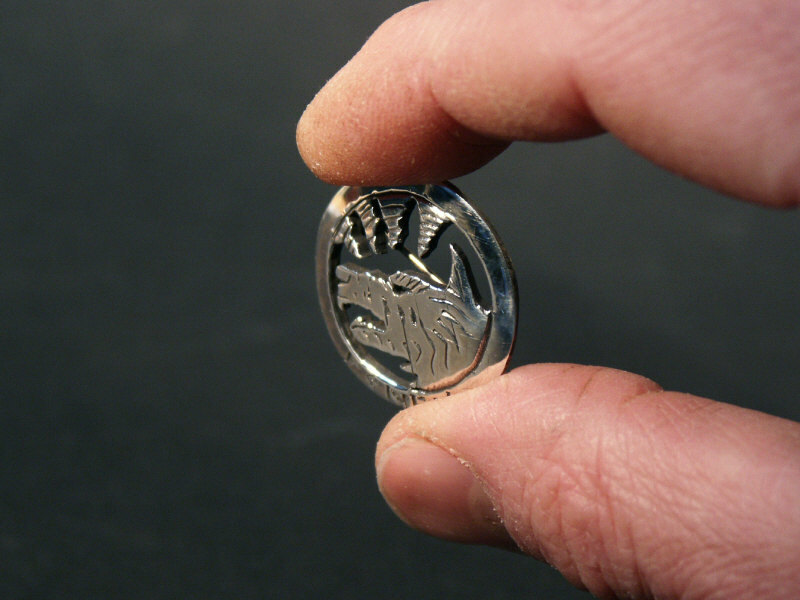 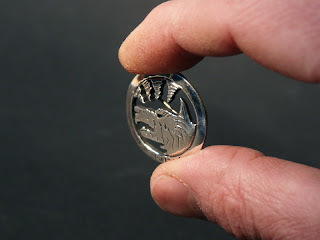 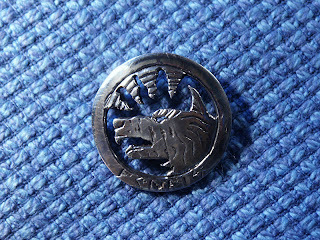 Anyway, I like their iconography and made it into a silver carved button.